What was the most exciting new music moment for you? 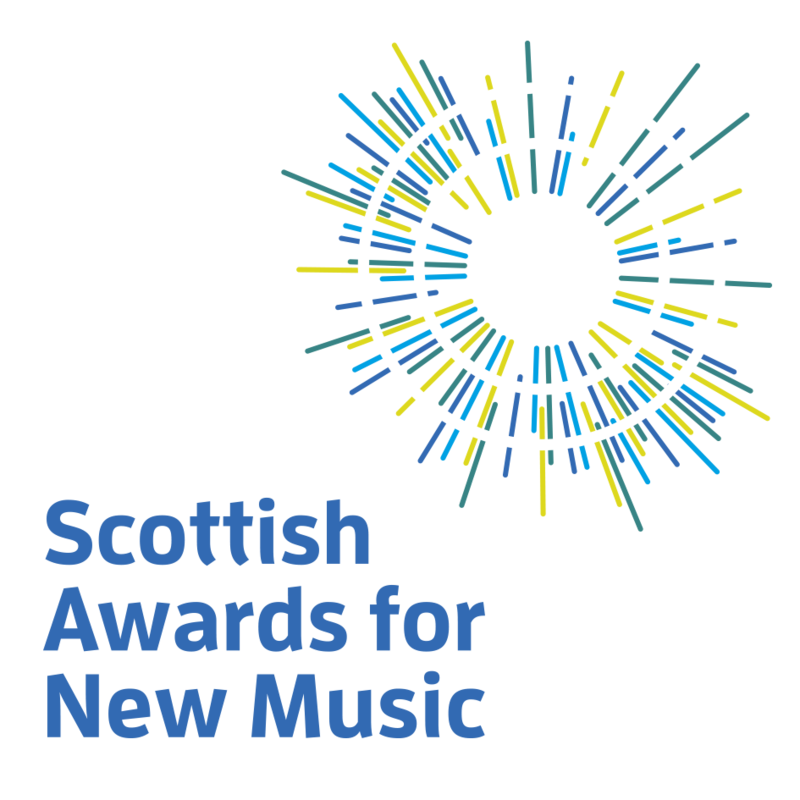 The most exciting new music moment for me was realising that there would probably never be a better year for new bassoon music, when the unique qualities of this sometimes neglected instrument were to be celebrated in the SoundScotland Festival. There would be commissions for both solo and chamber groups, & opportunities to involve & explore ideas with players of all ages. The other “endangered species” instruments, the viola, oboe, French horn and double bass, are to be featured in 2018, 2019, 2020 & 2021. What have been the musical highlights for you as an uninvolved audience member over the last year? The musical highlight of this year for me as a listener was the breathtaking technical skill of a real genius of the bassoon, Pascal Gallois, as he made the most beautiful music – sounding at times incredibly like a multi-layered orchestra, especially in performance of Berio’s iconic “Sequenza”. You’ve been involved in commissioning several composers this year…how did you decide who to approach? I’ve been involved in commissioning several composers this year. 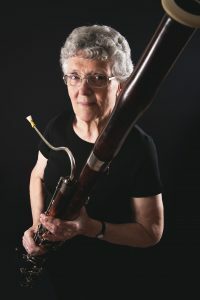 Realising the opportunity to start creating a repertoire for eight bassoons, or seven & a contra, had fallen into my lap, I decided to ask Janet Beat, composer of “Dreamscapes” for me in 1980, and Tim Tricker, composer, conductor and contra player to do just that. 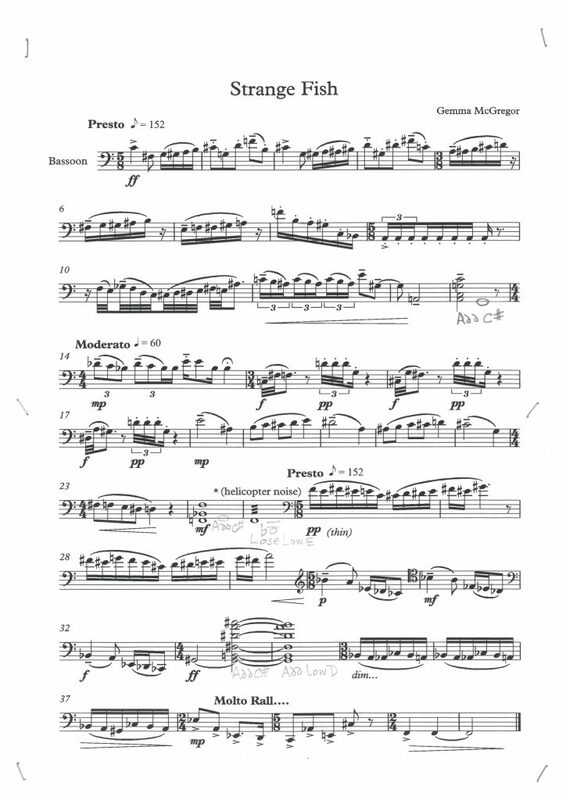 With the official Sound commissions due from Sonia Allori and Pete Stollery, and the only original 8-bassoon piece I knew to have its second performance, Eddie McGuire’s Lament(1989), we had a four-premiere programme of exactly the right length. If you could give one piece of advice to an audience member who is coming to see some new music for the first time, what would it be? A piece of advice – just one – for anyone coming to hear new music for the first time? I’d choose something wacky – lots of it is just as interesting to watch; some music-theatre performances can be as amazing as a high-wire circus act. Be prepared for absolutely anything – shocking, surprising, funny or wonderful – to happen! What is the dream project that you would like to be involved in? The dream project I’d like to be involved in is an extension of what is already happening in the North-East of Scotland – making sure everyone who does or doesn’t know about the bassoon, gets the chance to hear it, maybe fall in love with it, and, at any age, to become a player able to enjoy all kinds of music including, perhaps, the particular delight of performing new works for the first time.